Just six East Sussex Football League matches and one cup tie went ahead last weekend. For the second successive Saturday, the majority of the scheduled programme succumbed to the wet weather. 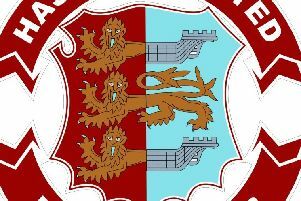 In the Premier Division, Northiam 75 came down to an earth with a bump after the previous weekend’s cup victory over higher grade Westfield as they lost 7-0 away to Sedlescombe Rangers. Philip Hatch and Ryan Edwards struck twice each, and there was one apiece for Kye Phillips, Dom Bristow and Harvey Monk as Sedlescombe climbed a place to sixth in the table. Northiam remain four points above the bottom two. Punnetts Town moved three points clear at the top of Division One on the back of a 6-0 success at home to Crowhurst. Jack Divall netted a hat-trick, and Patrick Johnson, Kirk Ferguson and Tim Johnson got the others. Punnetts are now five points clear of third-placed Wadhurst United - the team best placed to challenge them - albeit having played three more matches. The top four in Division Three faced each other in back-to-back matches on the 3G pitch at Bexhill College. South Coast Athletico and Victoria Baptists firstly contested a 2-2 draw. The goals of Lee Finnigan and Georgie McDonagh for Athletico were matched by Gary Walke and Paul Harvey for Victoria. That result enabled Bexhill Rovers to replace Athletico at the top after they won 7-1 against Bexhill Broncos immediately afterwards. An Aaron Cochrane hat-trick, and one each from Luke Alais, Iain Stuart Powell, Ashley Collins and Mark Phillips put Rovers a point clear of Athletico having played two fewer matches. Rory Clifford scored the Broncos’ consolation. Icklesham Casuals II moved into the top half of the Division Four table courtesy of a 2-0 success at home to West Hill United. Lee Pierce and Sam Garner were the scorers. AFC Hollington climbed above Welcroft Park Rangers into second place in Division Five after beating them 3-1 on the 3G pitch at Eastbourne Sports Park. A Mark Blanche double and one from Kelvin Lowes earned Hollington a victory which puts them six points behind leaders Little Common III with two games in hand. Dean Smith netted for Welcroft Park, who are now three points adrift of Hollington. Premier Division leaders Bexhill Town reached the semi-finals of the Hastings & District FA Intermediate Cup following a 1-0 win at home to fifth-placed Rye Town. A first half goal from Toby Clifford put Bexhill through to a home semi-final against Robertsbridge United. Matches are scheduled for all six league divisions, plus five cup competitions this coming Saturday.